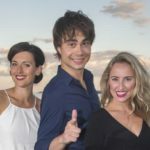 LOVE: Alexander Rybak thinks it was good to have girlfriend Julie Gaarud Holm in the audience during the premiere of the summer show “Entertainer”. Photo: Tore Skaar, Se og Hør. 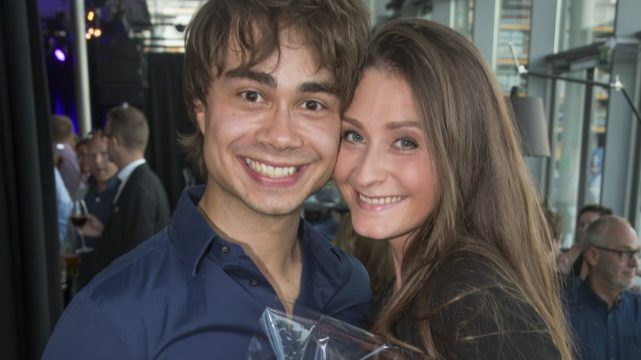 Alexander Rybak’s girlfriend is enthralled by the Eurovision winner’s musical skills, also at home. 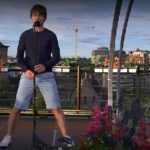 SEOGHØR.NO: In the winter, Alexander Rybak (30) fell in love, after having seen Julie Gaarud Holm (22) on the dating app Tinder. Since then, the couple have become very close, and Wednesday, Julie was in the audience when Alexander invited his girlfriend to the show-premiere of “Entertainer” in “Bølgen” Culture-House in Larvik. – I am very proud of Alexander, he impressed me a lot! Julie praises. To Se og Hør, Julie tells that she is enthralled by her boyfriend’s music skills and that she is being constantly entertained, also at home. – I get lots of entertainment at home. Alexander sings and dances, and there is never a dull second. Sometimes he even plays me to sleep! 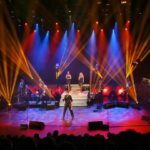 ELECTRICAL ATMOSPHERE: Alexander Rybak had to improvise when lightning struck down the culture in Larvik during the show “Entertainer”.